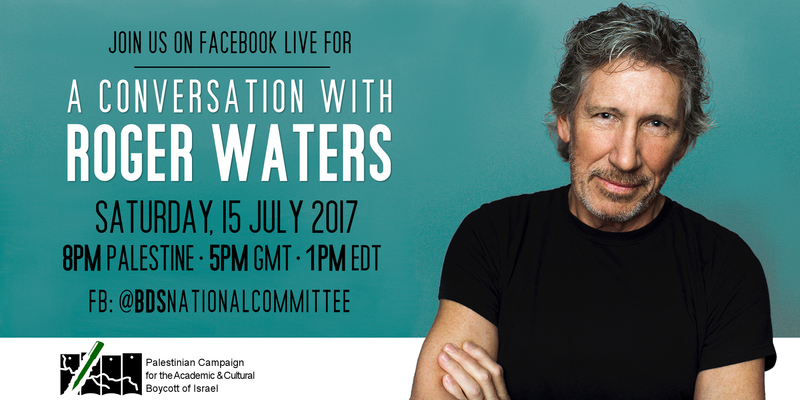 The Palestinian Campaign for the Academic and Cultural Boycott of Israel recently hosted a Facebook Live broadcast with Roger Waters, the world famous English rock musician, singer-songwriter, and composer. Watch the Live broadcast using the player below or by following this link. The Palestinian Campaign for the Academic and Cultural Boycott of Israel (PACBI) is pleased to host a conversation with Roger Waters on his involvement in the cultural boycott of Israel and support for Palestinians’ rights. Roger Waters is an English rock musician, singer-songwriter, and composer. He is best known as the bass player, co-lead vocalist, lyricist and the principal songwriter in the rock band Pink Floyd.